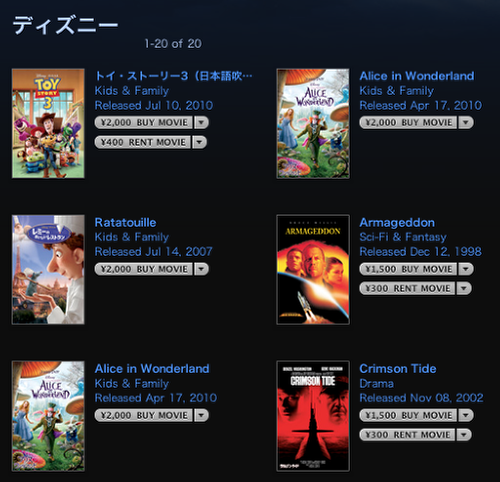 iTunes movies are now being offered in Japan, these include translated English language movies like Alice in Wonderland as well as Japansese specific titles including Ototo. The viewing rights appear to be 30 days to start watching the movie and 48 hours to finish once playback has commenced. New movies in HD cost around 2500 Yen. Apple TV also hit Japan this week and Apple is hoping for a large uptake competing with Sony and services like Qriocity or PS3’s movie store, all of which are popular already in Japan.